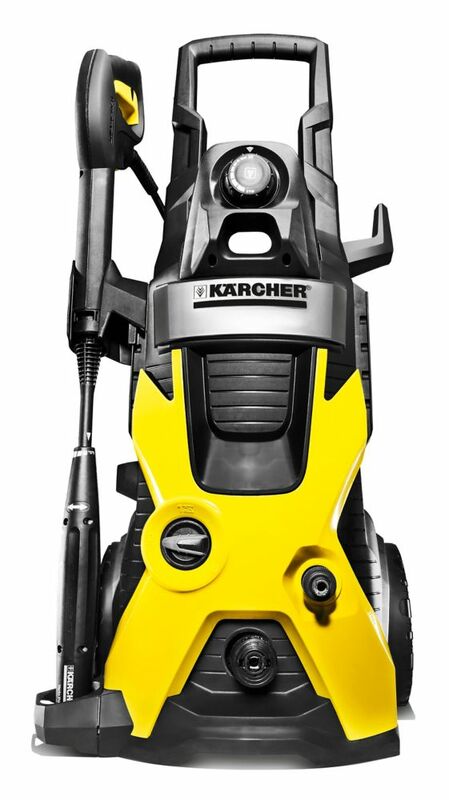 Karcher's 2000 PSI K5 pressure washer is our highest power electrical machine, delivering high pressure cleaning for tough jobs. The patented induction motor is water cooled to increase life up to 5X. The Vario spray wand allows for quick adjustment between low and high pressure without the need to switch nozzles. For stubborn stains, the patented Dirtblaster spray wand will clean up the toughest chores. Onboard detergent tank included. K5 2000PSI 5.7LPM Electric Pressure Washer Karcher's 2000 PSI K5 pressure washer is our highest power electrical machine, delivering high pressure cleaning for tough jobs. The patented induction motor is water cooled to increase life up to 5X. The Vario spray wand allows for quick adjustment between low and high pressure without the need to switch nozzles. For stubborn stains, the patented Dirtblaster spray wand will clean up the toughest chores. Onboard detergent tank included. K5 2000PSI 5.7LPM Electric Pressure Washer is rated 4.0 out of 5 by 22. Rated 3 out of 5 by Chris from I gave this an "average" rating only because I'm used... I gave this an "average" rating only because I'm used to using and industrial sized pressure washer where I work. The unit's appearance and functionality is good. It's just lacking a little bit of oomph. Rated 2 out of 5 by Christopher from I think the K5 has a great design, but... I think the K5 has a great design, but it lacks quality. The components are cheap, the power is lacking, and the hose repeatedly kinks. I am disappointed. Rated 4 out of 5 by Bill from It is a good cleaner for home owners.... It is a good cleaner for home owners. Rated 5 out of 5 by HomeDepotCustomer from I have only used it for a short period of... I have only used it for a short period of time, but it worked exactly as expected. It was easy to assemble and it is easy to operate.